First—a brief history of my first novel (I’ve published four so far and have started a fifth that I plan to turn into a series). I started researching and writing “My Splendid Concubine” in 1999 (total copies sold to date are almost 21,000). During that time, we visited China nine or ten times and traveled extensively throughout that country doing research. Concubine, after a stack of printed revisions almost as tall as I am—I was six-foot-four but as we age, we shrink—the novel’s 1st edition came out in December 2007, and it sold 562 copies in its first two years. In 2010, the novel went through more editing and revisions, and then the 2nd edition came out with a new cover. Between 2010 and 2013, the 2nd edition sold more than 11-thousand copies. The 3rd edition, after more editing, revisions and another new cover, came out in 2013 and has sold more than 9-thousand additional copies and is still selling. During those seven years, Concubine was promoted in several local brick-and-mortar book store author events, through thirty-one traditional talk radio shows where I was a guest expert on China, and three book blog tours in addition to two BookBub ad campaigns: one in 2013 and another in 2014. What follows is a brief report of the most recent $0.99 promotion of My Splendid Concubine from April 13 – April 19, 2015. When that promotion ended, I submitted a price increase from $0.99 back to $3.99, but as I’m writing this post, I see that Amazon has kept the price at $0.99—and it has now been more than five days since the official promotion ended. Starting Sunday, 4/12, I pinned—after I made sure that price had been dropped by Amazon and Draft2Digital—a Tweet promoting the sale to the top of my Twitter page and tweeted fresh tweets to support the sale several times a day in addition to the pinned tweet that was always there. To discover how to pin a Tweet to the top of your Twitter page so that it’s what everyone sees first when they visit, I’ve included this video from YouTube that explains how to do it. When I checked my Twitter Analytics page (I’m not sure you can open this link), it turns out that the Tweet that promoted the sale (the pinned tweet) was the Top Tweet for the last 20 days with 4,178 impressions (number of times users saw the Tweet on Twitter—I have no idea how they measure that). Using Twitter analytic, I learned that the same pinned Tweet was Retweeted 54x, the image was clicked on 7x and the link that led to Amazon was clicked 5x, and that was just the pinned Tweet. I have no idea how many times all of the other promotional tweets were seen. For instance, I found one of the same Tweets that was not the pinned version, and it was viewed 904x and engaged 23x. Engaged means the number of times a user has interacted with a Tweet, and I probably posted the same Tweet three to five times a day during the sale. But what about the four ads I ran with The Fussy Librarian, Choosy Bookworm, eReaderNewsToday and Riffle? The price drop to $0.99 was submitted on 4/11. Note: Seven copies sold for the full price at $3.99 between 4/1 through 4/4. No copies sold between 7/5 – 7/10. During the same time span as the Concubine promotion, my other three books sold 12 copies at the full price of $3.99. 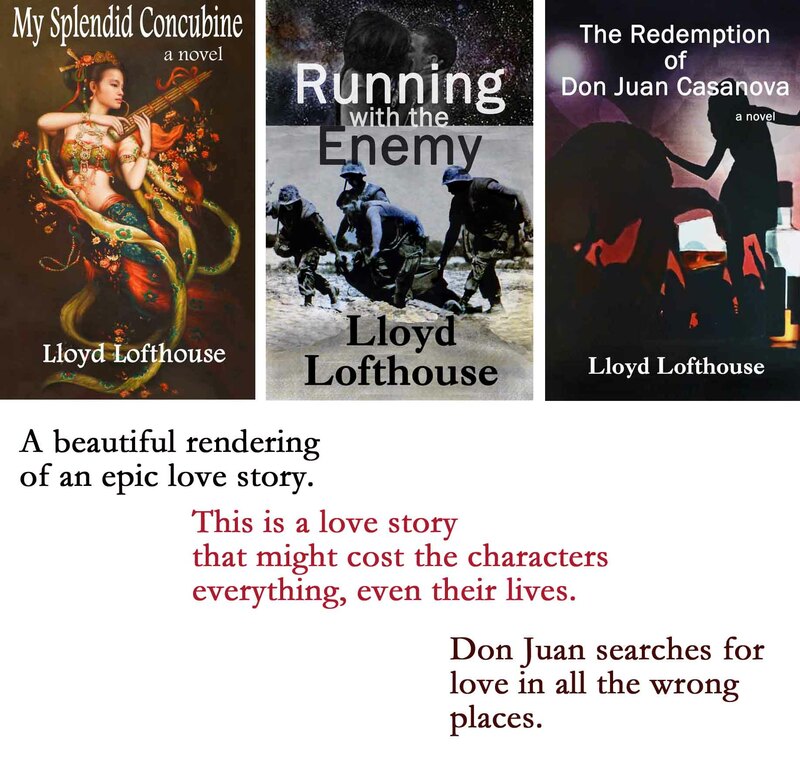 The result: More than 160 copies have sold so far in April for all four of my books—but most of the sales were for “My Splendid Concubine”. The total number of sales for January, February and March were 148 or an average of 49 copies a month. I think that an increase of sales of more than 326% for April was a success. I think exposure is more important than profit. If the work is worth reading, the exposure might lead to those profits in the future. For instance, Amanda Hocking didn’t earn much money or sell many books for her first eight years as an indie author, and then her sales went viral making her an internationally known author and a millionaire. For those eight years, Hocking worked part time jobs for poverty wages, and lived at home with her mother who nagged her relentlessly to get a real job that would support her. Hocking said she worked really hard developing her social media platform. I wonder if her mother is nagging her today. In May and June, my 4th book, The Redemption of Don Juan Casanova, will be going on a book Blog Tour with a $0.99 price drop from $3.99 in addition to plans to run ads on several sites, for instance, BookBub (if the ad request is accepted), Fussy Librarian, and eReaderNewsToday. For a little more than a year now, I’ve been experimenting with Amazon ads and learning what works. The focus is on “My Splendid Concubine” because it has the most reviews, three hundred and twelve with 251 four-and-five stars. Amazon has run more than 800k impressions resulting in 4,169 clicks (as of today) since the start of the campaign. The cost of the clicks so far is $1,167.47 offset by $1,059.31 in royalties from the 380 sales that Amazon has linked to the clicks, but that number is misleading because of sales not related to the clicks from the ad impressions. Total sales are closer to 600 resulting in more than $1,600 in royalties. My guess is that readers that clicked the ad, bought the book, and liked it enough, talked to other readers who bought the book without clicking on one of the ads. At 5:27 PM today, “My Splendid Concubine” was ranked #15,082 Paid in the Kindle Store and #11 for its specific genre. Sales for the e-book for August broke 100 copies this morning with twenty days to go before August ends. I plan to write a blog post about what I’m learning. I just checked and there have been another ten sales so far today. Lordy. I admire your persistence. Still trying to figure out how to balance creative time with promoting time, even when I’m not trying to sell anything. Oh, and also have clean laundry. I’m doing a load of laundry right now. I went out this morning at 9:30 AM to work on this stairway I’m building next to our hillside house. Mixed about 400 pounds of concrete this morning. My work clothes were a mess. Now I’m sitting in front of the desktop again and will probably be here for the next six hours. Off topic, but i thought of your Glazer/Bonilla post today as I read the Contra Costa Times front page story about campaign flyer overdose. The article gives the impression that Glazer and Bonilla are sending out equal numbers of flyers. I’ve been phone banking occasionally and I’m detecting true rage amongst some voters about being so pestered by mail and by phone. I want to ask, “So what should Bonilla do to make her case? How are democratic politics supposed to work?” but I know that would set them off even more. It’s kinda depressing. I find it hard to relate because I think political action is one of the noblest things we can do; it’s not in the same category as other kinds of solicitation. I UPDATED the Glazer/Bonilla post last Thursday. And Friday, another three flyers arrived in the mail: one from Glazer’s personal oligrach, Bill Bloomfield and two from JobsPAC (the one funded by corporations like Chevron and AT&T. The ones from JobsPAC are filled with claims that are OUTRIGHT lies. For instance, “Susan Bonilla sided with her special interest campaign donors and against parents and students again and again. Any claim that says that the public schools in America are failing are outright LIES. America’s public schools are not falling, have never been failing but corporate charters are failing at huge rates and fraud is rampant as corporate pirates rob tax payers blind and abuse children. I’ve had a few phone calls from Glazer’s camp and none from Bonilla’s, and Glazer’s phone bank callers have heard what I think about him and his corporate SPECIAL INTEREST supporters. In addition, when AB 1619 reached the Assembly Floor, the vote was 52 YES and 24 NO. Bonilla was one of the 52 who voted YES. In fact, from what I’m reading from the actual bill, it would change the ability for a teacher to earn due process job protection from two year so three years making it harder for teachers to earn their way off probation. The corporate reformers do not want teachers to have any due process job protection so teachers can be fired for any reason. The reason for due process job protection is so teachers can’t be fired for using their free speech rights when leadership doesn’t6 agree with the political and/or religi9ous opinions and thinking of teachers so they fire them and fill the schools up with teachers who all think like the way leadership wants to them to think. That is the only reason to strip teachers of all job protection—to control what people think and say. AB-1619 Failed in the state Senate committee and never made it to the floor of the Senate. The other side proclaims: Steve Glazer: The Independent Candidate for State Senate. It even claims that Steve Glazer Refuses Special Interest Gifts and Taxpayer-Funded Perks. There is no mention that his backers are SPECIAL INTERESTS like Chevron, AT&T and an oligarch like Bill Bloomfield who has a record of funding the elections of candidates supporting corporate education reform that in the end will profit, not children, but people who are already rich, the 1% we hear so much about.